DNA computing holds exciting promise for current and future applications but unfortunately, there are still challenges that must be resolved before we can fully harness the vast potential of this incredible technology. To understand the challenges involved in DNA computing, however, it is vital to understand just what the technology involves and how it works. A DNA computer is made up of specific DNA strands. The select combination of DNA strands essentially 'solves' a problem. Nanocomputers are another concept to understand because these machines utilise DNA for the storage of data and to complete complicated calculations. 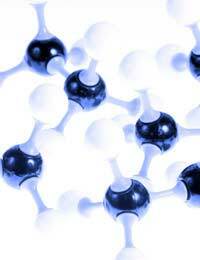 DNA itself operates as a building block in a huge range of areas such as nanotechnology and molecular computing. It is also important not to become too narrow in how we envision the concept of a 'computer.' When we speak about computers, most of us are thinking of our desktop personal computers or our handy laptop. DNA computers are an entirely different concept, although they still have applications that could support our daily computing needs. DNA computers can be tiny enough to work in the human body, where they may one day perform tasks such as identifying diseased cells or releasing insulin as required for a diabetic patient. There are many areas that can benefit from DNA computing, but one particularly important one is medicine. Currently in development is a DNA computer that actually operates within human cells. As mentioned, the hope is that this technology will eventually allow for the DNA computer to select diseased cells and then exclusively treat diseased cells while leaving healthy cells intact. Using a mechanism known as RNA interference, little molecules of RNA stop a gene from creating protein. Unfortunately, there are significant challenges that accompany this goal. The challenge for scientists is to figure out a way to actually produce a molecular computer that can handle complex but crucial decision-making processes. Although DNA computers have been engineered to play a simple game of tic-tac-toe or complete fairly straightforward logical tasks, this is a far cry from producing DNA computers that can successfully function in human cells. It is also just too simplistic for applying to the complicated calculations and applications needed for decision-making. While the potential for DNA surpasses current modes of computing, actually conquering that potential to develop practical applications is still a difficult and challenging goal - one that is many years away at best. Another problem related to the development and use of DNA computing is that researchers have struggled for many years with the challenge of making DNA in such a way that it can provide the same success at solving problems as our current silicon-based systems can already achieve. DNA's nano-sized particles make this a difficult challenge to overcome. Also, DNA computing is still slower in comparison with its silicon-chip counterparts but if its full potential can eventually be achieved, it will surpass traditional computing in terms of speed and efficiency. DNA computing continues to be an exciting concept, delicately placed at the brink of science and biology. Not only has it become a promising technology for analysing data but it also shows ability and power to transmit information in nanotechnology and other interesting applications. With continued research and development, DNA computing will hopefully overcome its current challenges, paving the way for efficient and successful computing applications in a wide variety of fields.